While at the market yesterday looking for things to snitch, I bought a sack of my favorite olives, les Lucques. Lucques olives are originally from Italy, but are now most closely associated with France and they’re unlike any other olive you’re likely to sample, free or otherwise. Grown in the Hérault region in the south of France, the Languedoc, they’re harvested in the fall and can be difficult to find depending on the time of the year. These olives are meaty and sweet, not soft, salty, or mushy like some olives can be. The green flesh is firm and bright, and the olives themselves must be kept submerged in their light brine since they discolor very easily. While they are available in jars, I am lucky to have a prime source for these green beauties just steps away from where I live. And they are certainly one of the best things you can possibly eat. The first time you try one, you’re likely to be very surprised to find they’re unlike any other olives you’re used to eating. These fine olives are meant to be eaten just as they are, perhaps accompanied by thin slices of jambon and a bowl of crisp radishes with a glass of rosés as an aperitif. I buy small sacks of Lucques olives at the market weekly, since if I keep too many around, I tend to eat them all at once; they’re that good. 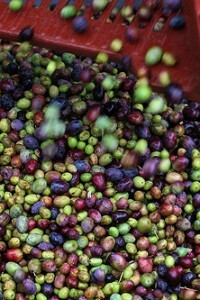 Jars of Lucques olives can be ordered in the US here and here’s an excellent guide to olives. Could you give us the address where you get them near your home, please ? i use the same “eat them all at once” technique! Love your blog. So entertaining. I haven’t tried these lovely little olive yet, but I have had the pleasure of eating at Suzanne Goin’s Lucques, a restaurant here in Los Angeles. (Did you work together at Chez Panisse?) Great meal, but I do prefer her other restaurant, A.O.C. –Yummmmmmm. Thanks for link – I’ll order some today. c, if you’ve been to lucques, they’re the olives served with the almonds at the beginning of the meal. Aren’t lucques the best olives? I wasn’t really an olive fan until we moved to France but being faced with so many choices in the markets every week converted me. Also, there is a wonderful olive co-op, L’Oulibo, just down the road in Bize-Minervois. They offer samples of all their olives and olive oils. Delicious! I live in Oliveville in Greek Astoria/NYC. You can even get raw olives at the corner produce stand and make your own. But I’ve never had olives like these. I will definitely look for them next month when I’m over there. Everything here is salty, salty, salty! Arnaud: I get mine at Whole Foods (just kidding…) I buy my olives from the olive man at the Richard Lenoir market in Paris, Thursday and Sunday. He’s somewhere in the middle. 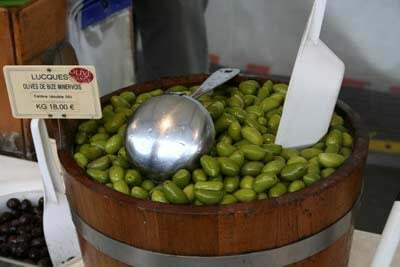 They have wonderful Lucques olives at Sur Les Quais, at the covered part of the Marche d’Aligre as well. Cynthia: Yes, I worked with Suzanne. She’s great and very sweet (and, of course, a great cook too.) I love her new book! I completely agree with your paean to lucques. When I lived in LA, I regularly bought them at the Fairfax Farmers Market and at La Brea Bakery. Now I’m in New York and have had no luck finding lucques at any of the specialty markets in Park Slope or at Dean & Deluca (who said they used to carry them, but they didn’t sell). If anyone has a good NY source, please post it here. OH I love olives but have never heard of these. Thank you for the link! Google has brought their fantastic map app to France (Germany, Italy, etc) maps.google.fr. Is the market located between the streets of Boulevard Richard Lenoir as shown in this satellite photo? 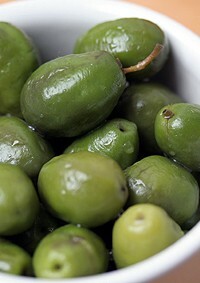 My favourite olives are “les olives cassÃ©es” you should try them! Judy Diva Witt has a recipe using those tomatoes on her blog. It is great to read that lucques are so appreciated with you guys. We have olive trees and for two years picked for table olives, but this year, all our olives have gone to oil – which is truly magificent. I just wish we could get it to you!! 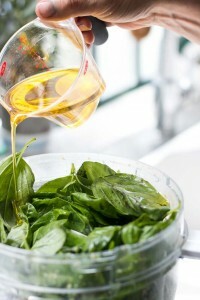 We have 250 litres of best quality oil. And my son lives near Boston, though we are European, living in the South of France….